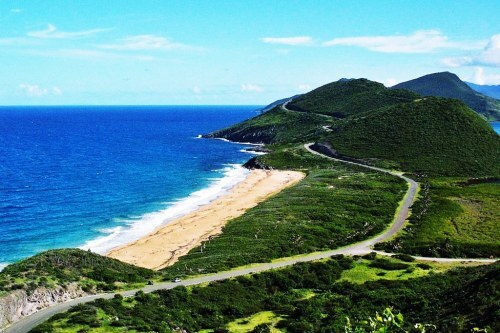 Air Canada Rouge is selling off some last minute seats on their non-stop flights from Toronto to the Caribbean island of Saint Kitts for $330 CAD roundtrip including taxes. This is about 50% cheaper than the typical cheapest roundtrip flights from Toronto to Saint Kitts and Nevis. When you see $660 as the total price, that's for 2 passengers. Where to stay on Saint Kitts? It's not easy to find reasonably priced accommodation on Saint Kitts. A search on Airbnb around these dates shows a few properties with decent reviews for just over $100 CAD/night for 2 people. toronto, yyz, caribbean, eastern caribbean, flight deals, southern caribbean, air canada rouge, lesser antilles, saint kitts, nevis, basseterre and leeward islands.